Steve Hoogeboom is the Chef de Cuisine at Grace, a modern American restaurant in the Dallas Fort-Worth area of Texas. 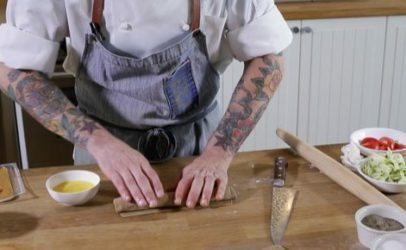 His love of food began at home with his parents in Grand Rapids, Michigan. He moved to Texas in 2005, learning about pies, cakes, breads, and various pastries during his first job as a baker. He later became versed in Mediterranean cuisine and the art of sushi making. 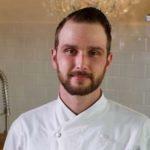 Hoogeboom joined Grace in 2010, making his way up the ranks to Chef de Cuisine. His favorite activity in the kitchen is baking breads and pastries, so it’s no wonder he agreed to whip up a few recipes for our SandwichMasters series. 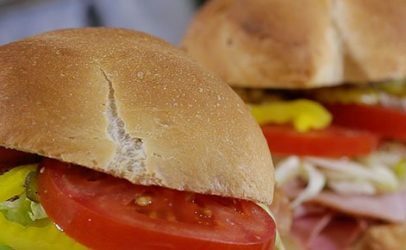 An ode to the Windy City, the classic Chicago hot dog is reimagined as a sandwich on a delicious Kaiser roll. 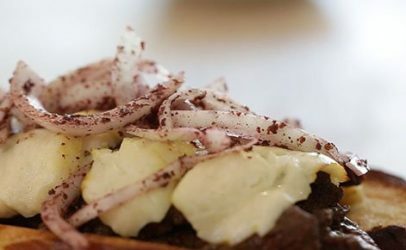 A powerful combination of Middle Eastern flavors, including seasoned flank steak, Halloumi cheese, and sumac-coated onions on our pretzel bun. A new take on sushi, cured salmon, cream cheese, and our rye bread dough, rolled and baked, then topped with a cucumber, dill and tomato salad.